As U.S, forces prepare to withdraw from Iraq, more evidence comes forward on U.S. killings of Iraqi civilians during its seven-year occupation. 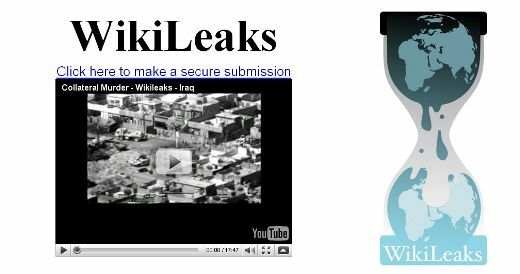 WikiLeaks has released a classified U.S. military video showing two Apache helicopter gunships carry out the indiscriminate slaying of over a dozen people in the Iraqi suburb of New Baghdad – including two Reuters news staff, Saeed Chmagh and Namir Noor-Eideen – on July 12, 2007. Chmagh, 40 was a respected Reuters driver and assistant. He left behind a wife and four children. Noor-Eideen, 22, was considered one of the best war photographers in Iraq. In August 2007 Reuters filed a Freedom of Information Act request for a copy of the video evidence taken from the primary helicopter involved in the attack. But the request was never granted. WikiLeaks obtained and decrypted the video, and released it April 5. The film then shows the gunship troops unleashing a barrage of gunfire on rescuers who drove up in a van and tried to retrieve the wounded man and the dead bodies. In total about 12 to 15 people were killed. 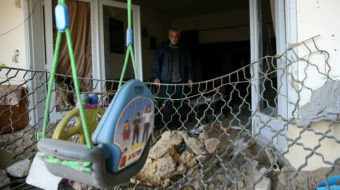 Two young children, visible sitting in the rescue van, were seriously wounded. After demands by Reuters, the incident was investigated and the U.S. military concluded that the actions of the soldiers were in accordance with the law of armed conflict and its rules of engagement. WikiLeaks is a non-profit organization funded by human rights campaigners, investigative journalists, technologists and the general public. Viewing this deeply disturbing film underscores the heavy responsibility the U.S. bears to help the Iraqi people recover and rebuild.